8 sugar alternatives you should know. We’ve known it since the day our mom didn’t allow us to have those sweets: Refined table sugar is not as innocent as its widespread use in our daily groceries might suggest. The popular breakfast staple is produced by bees and collected from the hive. It raises blood glucose just like table sugar, but is rich in antioxidants, minerals, and vitamins. Therefore, it is often praised for its anti-inflammatory properties. Opt for organic and locally sourced honey whenever possible to forgo pesticides and support small businesses. Use it in this delicious Paleo banana cake with walnuts for a healthy treat. 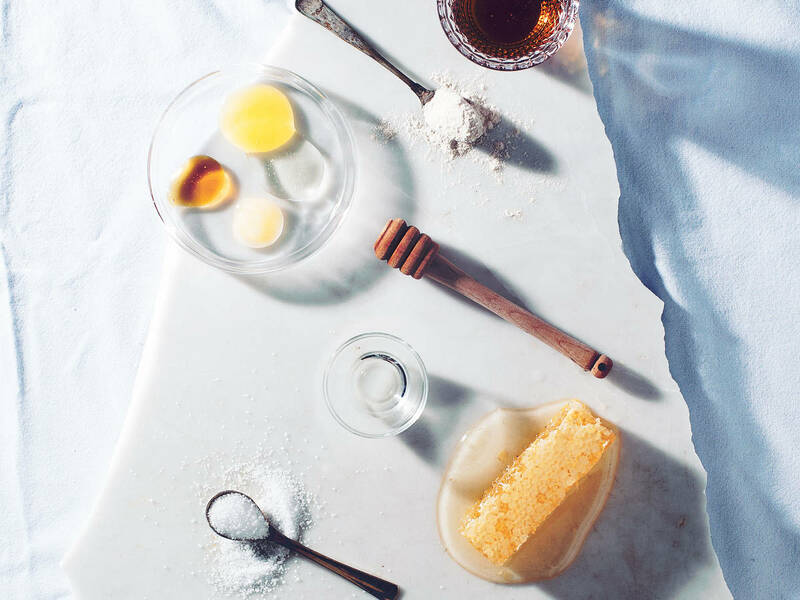 Both sourced from a plant or tree respectively, agave and maple syrup have a longstanding tradition as sweeteners in their countries of origin. Agave syrup is originally from Mexico, high in fructose, sweeter than table sugar, and should thus only be used in moderation. Native to Northern America, maple trees are tapped to extract the mineral-rich syrup, which has even more nutrients than honey. Combine it with mustard and lift your roasted veg to the next level with this recipe. Extracted from the leaves of the rebaudiana plant, its steviol glycosides have zero calories while being more than 100 times sweeter than sugar. Moreover, you can grow the plant on your balcony or in your garden to avoid heavily processed stevia mixes. As it doesn’t raise blood glucose, it is suitable for a low-carb diet. However, its aftertaste, which can remotely resemble bitter licorice, is surprising at first and might not resonate with everybody. Try our cinnamon and almond ice cream and see for yourself! Gaining popularity by the day, xylitol is a sugar alcohol, generally made from hardwoods, corn, or other fibers. Its crystalline structure resembles table sugar, but, unlike its doppelgänger, xylitol is low in calories and benefits dental health. It comes in many forms and can replace sugar in both cold and hot meals as well as baked goods. However, we recommend gradually switching to xylitol: sudden excessive consumption can have laxative effects. The fruits of the date palm are native to the Middle East and a popular sweetener amongst advocates of the raw diet. Dried and soft dates are high in fructose and potassium, and can be used in a variety of dishes. Use them as natural sweetener in this immune booster bowl. Rice syrup is the sweetener of choice for people with fructose intolerance, as it primarily consists of oligosaccharides, glucose, and maltose. It is derived from cooked rice starches and has a higher glycemic index than table sugar. It can be used just like honey or syrups and drizzled over pancakes or muesli. Coconut sugar is the newest and trendiest addition to the alternative sugar family. It is derived from the coconut plant, has no aftertaste and a low glycemic index, which is why it doesn’t raise your blood glucose. Go the extra mile and opt for sustainably sourced, organic coconut sugar to use in these naturally sweet pumpkin squares. Ultimately, you should listen to your gut instinct, use the sweetener that resonates most with your dietary needs, and remember to use every sweetener in moderation.